The explorASIAN team had a fabulous time at the Vancouver Asian Film Festival’s 20th Anniversary festival. As we also recently celebrated our twentieth anniversary it was wonderful to support them and to join them in celebrating the work of Asian filmmakers in Canada around the world. We were especially pleased to attend Mixed Match, a documentary feature by Jeff Chiba Stearns that explored the struggle of mixed race individuals in finding matches for stem cell and bone marrow donors, and Tyrus, explorASIAN‘s co-presented film that celebrated the career of Asian-American artist Tyrus Wong, who is the inspiring visionary behind much of Western film canon and yet has not been properly acknowledged for his work. These two films really resonated with us. 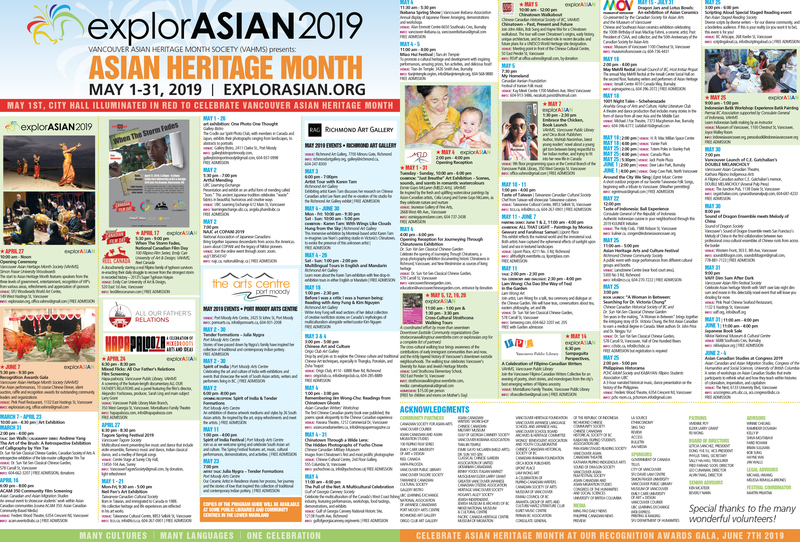 As we will be celebrating the Hapa/Mixed Heritage community in explorASIAN 2017, we are glad that these issues facing mixed heritage individuals has been brought to our attention. Thanks to Jeff, Mixed Match, DOXA, Hapa-palooza, Other Half Chinese Stem Cell Organization, and One Match Stem Cell and Marrow Network for bringing this issue to our attention. If you are of mixed heritage and are able to register and give to save a life, please see here: http://mixedmatchproject.com/resources/directory-of-organizations/. Congratulations also to the film and to our partner Jeff Chiba Stearns for winning the National Bank People’s Choice Award for Best Feature at #VAFF20! We also believe it is important to acknowledge the legendary Tyrus Wong as too many people do not know about him despite his huge involvement with films and art we have known our entire lives. The 105-year-old LA-based Chinese American artist was at the centre of the Asian American art scene on the west coast, and was THE visionary behind Disney’s Bambi, though he is credited in the film on equal footing as the rest of the team. Watching Tyrus was awe-inspiring as we were able to see all of the different artwork he created, from concept art with major Warner Brothers’ films, to beautiful bestselling Christmas cards, to his striking whimsical kites. VAHMS and explorASIAN is so proud to have co-presented Tyrus and to spread the news of his legendary career to the world. Thank you to Director Pamela Tom for creating this film and for giving us the honour of co-presenting with you. Tags: Hapa, Hapa-palooza, Mixed Heritage, Mixed Match, Tyrus, Tyrus Wong, VAFF, Vancouver Asian Film Festival. Bookmark the permalink.